Energy secretary Rick Perry will testify late this morning before an Energy and Commerce subcommittee, where he's sure to face questions about his push for changes in wholesale power market regulation that would boost revenues for coal and nuclear plants. Why it matters: With the rationale for the proposal — that helping keep nuclear and coal plants afloat is needed for grid resilience and reliability — coming under intense criticism, Perry is under pressure to mount a strong defense. What he'll say: Perry's prepared remarks for the hearing are here. He touts the plan to allow greater cost recovery for plants that have 90-days worth of fuel stored on-site. "I asked FERC to change the market rules to make sure that fuel-secure generation is valued for what it is worth to our Nation — not forced into early retirement leaving the grid at risk during the next disaster," the testimony states. No can do: Yesterday FERC denied requests for a longer comment period on the proposal by a suite of energy industry trade groups representing oil-and-gas and renewables companies. Comments are still due Oct. 23, which a series of parties — including state regulators nationwide — say is far too little time to provide adequate input. 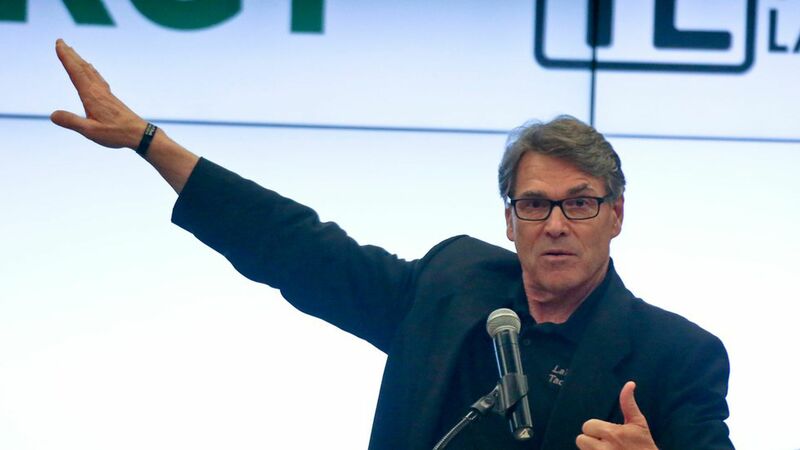 Perry has tasked FERC with completing the rule in 60 days, which is very fast in the world of federal regulation. Perspective: "Providing sufficient time to comment would be important if FERC were interested in defending a final rule in court," Ari Peskoe, a Harvard expert in electricity law, tells Axios.